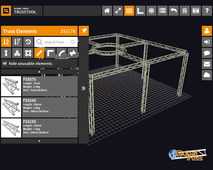 The unique and innovative Truss Tool 3D gives you endless possibilities to create and design your own truss constructions with just some clicks. The best about it: IT’S ABSOLUTELY FREE! Sign up today and be creative! 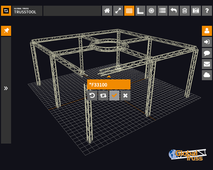 The first version of this powerful tool was released in 2006 and for many years was the first choice of creating truss structures. 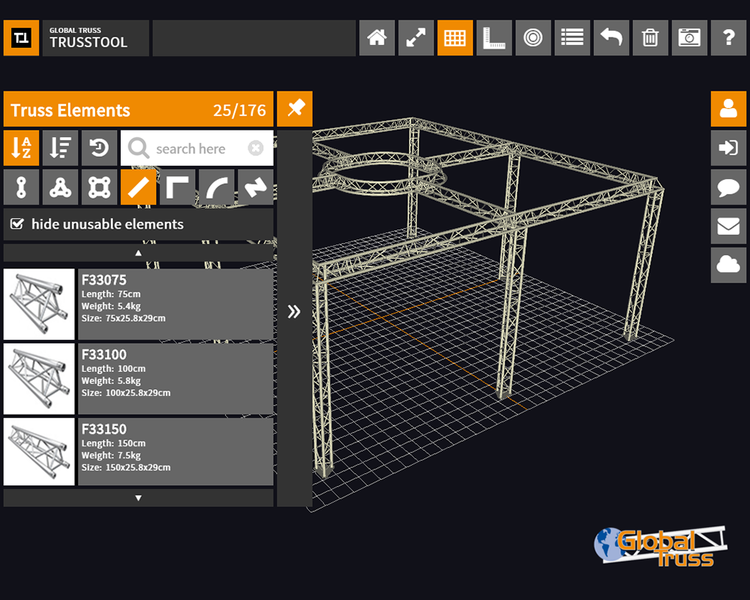 The all new Truss Tool 3D goes further. 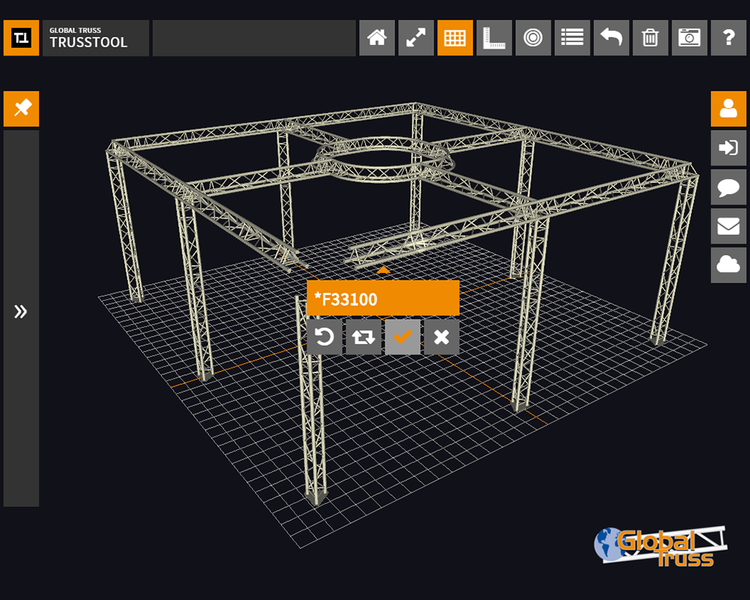 We have implemented the 3D feature, you can choose three different truss systems – F32, F33 and F34 and every little single truss piece we offer in these ranges is available in the tool. 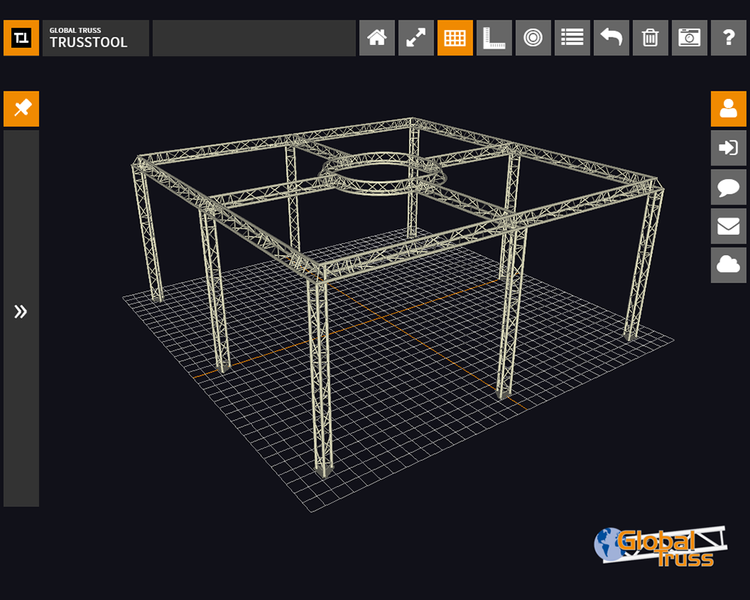 Yes, I mean also spacers, circles and baseplates. 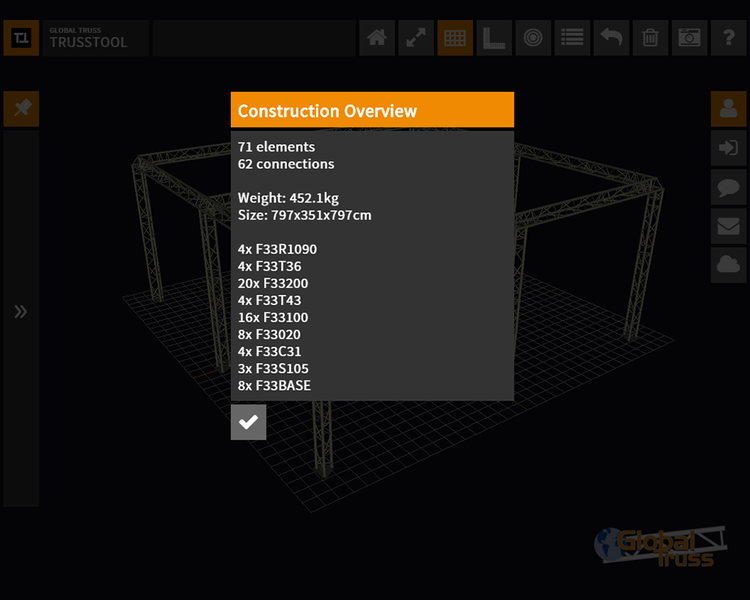 The simple and intuitive user interface will assist you in creating constructions in no time. There is the possibility to create an user account and save/load your constructions. You are able to make screenshots with one click and save these locally. 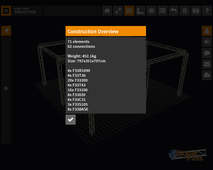 Furthermore Truss Tool 3D will inform you about the dimensions as well as the total weight of your construction. 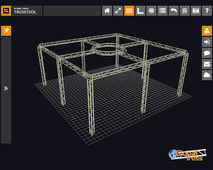 This innovative tool was designed for one purpose – creating constructions easily.